Please read carefully the following Website Policies and Terms. With your use of this Website and its services, you state that you have read and understand the Policies and Terms, and agree to abide by them as set forth below. We reserve the right to change or modify this Website’s Policies and Terms and your continued use of this Website constitutes your agreement to be bound by them as such. Changes or modifications will be posted on this Website and it is your responsibility to be aware of such. If you do not wish to abide by any such changes, your only recourse is to cease in using this Website. We reserve the right to terminate your account if you violate the Website’s Policies and Terms, or if you provide misleading or false information. Shipping Policies and Procedures are defined in the section entitled Shipping Policy. Refer to this section for policies and terms. Return and Exchange Policies and Procedures are defined in the section entitled Return and Exchange Policy. Refer to this section for policies and terms. Prices are subject to change without notice. We are not responsible for typographical errors or inaccuracies. We reserve the right to correct any errors or omissions at any time without prior notice. We reserve the right to modify or correct information at any time without prior notice. We reserve the right to correct any errors (including pricing), inaccuracies or omissions on any orders, including orders which may have already been submitted. All sales are final on all sale or discounted items (except for manufacturing defects, which will be replaced). Florida law requires us to charge 7% sales tax to the cost of the order for all orders shipped within the state of Florida. There is no sales tax on orders shipped out of the state of Florida. All transactions must be in United States Dollars. Gift certificates are not refundable and cannot be redeemed for cash. Gift certificates are good for 1 year from issue date and can only be used for purchases online at TraditionsJewishGifts.com. Your personal information is of utmost concern to us as it is to you. Consequently, we have taken measures in accordance with industry standards to protect your personal information. This Website uses secure server software (SSL) in all its transmissions. All information is encrypted when it is processed. We do our best to maintain adequate inventories of products. Because we have been in the Judaica Industry for many years we have excellent relationships with our suppliers. If a product is out of stock we will notify you by e-mail. Some products are hand-made and subsequent replenishing of stock may take longer then it does for a manufactured item. Some products are imported from outside the U.S. which results in a longer delivery time to us. Some products are limited editions. We reserve the right to limit or discontinue items without prior notice. Our product descriptions are very descriptive compared to other websites. We do this in good faith, to give you as much information about the product as possible, before you purchase it. However, we do not warrant that the descriptions are error free. Subsequently, we reserve the right to correct any errors, omissions or inaccuracies at any time without prior notice. If the description of the product differs materially from the product you receive from us, your only recourse is to return the product to us for a refund or exchange, which is done by following the Policies as set forth in the Return and Exchange Policy section. A hand-made or hand finished item may have slight differences, including color, measurements and appearance from the product picture or product description. Because each item is made by human hand, each item is likely to be slightly different than the previous creation. The creation and subsequent uniqueness of the product is an acceptable attribute of the Artist and the Industry. These slight differences are not deemed as material differences. Custom orders (such as Broken Glass and Wedding Keepsake products) will also vary in their finished look. Each customer’s glass is different than the others. Each item is made by human hand to some degree, therefore the uniqueness of the product is inherent in the finished look. We respect your right to privacy. Subsequently, we make every reasonable effort to protect the information you voluntarily give to us. We will use the information to process your order. We may also use it to tell you about sales, special offers or changes in our services. We will not sell or trade your personal information to third parties. 1) To protect the interests legal rights of Traditionsjewishgifts.com, Inc., its users, affiliates, vendors or customers. 2) To enforce this Website’s Policies and Terms. 3) To comply with the legal process and its requirements. If you do not want to receive e-mails from us about special offers, sales, etc., check the opt-out box. By providing us personal information or transacting business with us, you represent and warrant to us that you are at least 18 years of age, or the legal age of majority in the State or Country you reside. You are also liable for the actions of any minors who use your computer, or provide us personal information, or transact business with us with your credit card. In using the Website you agree not to use it for any illegal or unlawful purpose. You also agree to abide by the Website’s Policy and Terms. You agree not to do or use the Website in any way which could damage, harm, disable or impede its ability to operate or perform its normal functions. Access in the Website is limited and you agree not to attempt to gain unauthorized access to its records, accounts or systems, by any means, including hacking and password mining. The content of this Website, including without limitation, text, logos, photos, software, codes, images, pictures, icons, graphics and trademarks are the sole property of Traditionsjewishgifts.com, Inc. and/or its licensors. 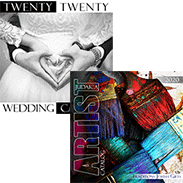 The total Website content and aforementioned properties are subject to copyrights held by Traditionsjewishgifts.com, Inc. and/or its licensors and suppliers under United States copyright and international copyright laws and all right hereto are specifically reserved. This Website is intended for personal, non-commercial use. Any other use of this Website, its content and aforementioned properties is strictly prohibited. Ownership of all such content, logos, trademarks and the goodwill associated with them, remain the sole property of those respective entities. You have no right whatsoever and are not authorized as such, to download, copy, reproduce, redistribute, use or attempt as such, any of the aforementioned properties. To do so is a violation of United States and/or international law and is expressly prohibited. VIOLATORS WILL BE PROSECUTED TO THE MAXIMUM EXTENT OF THE LAW. A link to any other website or location may be provided for your convenience. By providing a link, we in no way, are endorsing the sight or its content. We are not responsible and therefore not liable for any such content, information or injury you may experience at that website. Traditionsjewishgifts.com, Inc. grants you a limited license and limited access in the use of this Website. Your limited access is for personal, noncommercial use only. You agree not to reproduce, download, duplicate, copy, sell, distribute, resell or frame ANY portion of this Website and its contents. You agree not to use hidden text, meta tags, data mining or robots to extract information. If you do any of the aforementioned, this constitutes a breach of this Website’s Policy and Terms. This will result in the termination of your right to use this Website and the respective limited access license. This will also result in prosecution to the maximum extent permitted by law. The governing law of this Website’s Policy and Terms shall be in accordance with the laws of the State of Florida. Any claims that shall arise shall be filed in the state or federal courts of Broward County, Florida. If any part of these Policies or Terms is deemed void or unenforceable, that specific Policy or Term, shall not affect the remaining Policies and Terms of this Website, which remain valid and enforceable. 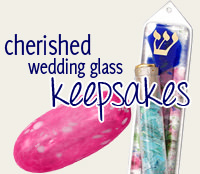 CONTENT PROVIDED TO TRADITIONSJEWISHGIFTS.COM, INC. If you submit, upload, transmit or provide any content to this Website, you irrevocably grant to Traditionsjewishgifts.com, Inc and its affiliates, a perpetual, royalty free right to use such information in the operation of the its business. You agree to indemnify, defend and hold harmless, Traditionsjewishgifts.com, Inc., its directors, officers, shareholders, employees, agents, consultants, affiliates, distributors and vendors against any and all third party claims, liabilities, costs, losses and expenses (including reasonable attorney’s fees), which may result as a result of your violation or breach of any of the Policies and Terms of this Website. THIS WEBSITE AND ITS ENTIRE CONTENTS, ARE PROVIDED ON AN “AS IS” BASIS WITH ALL FAULTS. YOU EXPRESSLY CONCUR THAT USE OF THIS WEBSITE IS AT YOUR OWN RISK. TRADITIONSJEWISHGIFTS.COM, INC. EXPRESSLY DISCLAIMS ALL WARRANTIES OF ANY KIND, WHETHER EXPRESS OR IMPLIED, INCLUDING BUT NOT LIMITED TO THE IMPLIED WARRANTIES OF MERCHANTABILITY, SUITABILITY FOR A SPECIFIC USE, TITLE AND NON-INFRINGEMENT. WE MAKE NO WARRANTIES OR REPRESENTATIONS THAT THIS WEBSITE AND ITS CONTENT WILL MATCH YOUR SPECIFIC NEEDS. WE MAKE NO WARRANTIES OR REPRESENTATIONS THAT THE WEBSITE, IT’S SOFTWARE AND CONTENTS, WILL ALWAYS BE TIMELY, AVAILABLE, FREE OF ERRORS, ACCURATE, UNINTERPRETED, SECURE, OR FREE FROM VIRUSES. TRADITIONSJEWISHGIFTS.COM, INC. AND ITS RESPECTIVE VENDORS MAKE NO WARRANTIES OR REPRESENTATIONS ABOUT THE RELIABILITY OR ACCURACY OF ANY INFORMATION OBTAINED FROM THE WEBSITE. WE MAKE NO WARRANTY AND YOU CONCUR THAT TRADITIONSJEWISHGIFTS.COM, INC. IS NOT RESPONSIBLE FOR ANY ALTERATIONS OF YOUR DATA, UNAUTHORIZED ACCESS TO IT OR ANY TRANSACTIONS TRANSMITTED INTO OUR WEBSITE. WE MAKE NO WARRANTY AND YOU CONCUR THAT WE ARE NOT RESPONSIBLE OR LIABLE FOR ANY COMMUNICATIONS TO YOU FROM A THIRD PARTY USING OUR WEBSITE. YOU UNDERSTAND AND CONCUR THAT ANY INFORMATION YOU OBTAIN OR DOWNLOAD FROM OUR WEBSITE IS DONE BY YOU AT YOUR OWN RISK AND THAT YOU ARE RESPONSIBLE, NOT US, FOR ANY DAMAGES OR LOSSES THAT MAY RESULT TO ANY AND ALL OF YOUR COMPUTER SYSTEM AND EQUIPMENT. YOU CONCUR THAT IN NO SUCH WAY SHALL TRADITIONSJEWISHGIFTS.COM, INC., IT’S SHAREHOLDERS, OFFICERS, DIRECTORS, EMPLOYEES, CONSULTANTS, AFFILIATES, LICENSEES, VENDORS, AGENTS OR SUCCESSORS, BE RESPONSIBLE OR LIABLE FOR ANY DAMAGES WHATSOEVER, INCLUDING BUT NOT LIMITED TO ANY LOSS OF BUSINESS, REVENUE STREAM, PROFITS, INFORMATION, CONTENT AND GOODWILL, RESULTING FROM THE USE OF OUR WEBSITE, WHETHER DAMAGES ARE A DIRECT, INDIRECT, SEQUENTIAL, SPECIAL, PUNITIVE OR OTHERWISE. THE USE OF OUR WEBSITE IS COMPLETELY AT YOUR OWN RISK AND DISCRETION. CERTAIN WARRANTIES AND THE LIMITATION OF CERTAIN LIABILITIES RESULTING FROM DAMAGES WHICH MAY BE DIRECT, INDIRECT, SEQUENTIAL, SPECIAL, PUNITIVE OR OTHERWISE, MAY BE EXCLUDED IN CERTAIN JURISDICTIONS. CONSEQUENTLY, THIS MAY NOT BE APPLICABLE TO YOU. IN ANY EVENT, TRADITIONSJEWISHGIFTS.COM, INC. RESPONSIBILITY AND LIABILITY SHALL NOT EXCEED THE DOLLAR AMOUNT PAID TO US FOR THE PRODUCT, BY THE SPECIFIC USER OF THE WEBSITE. The Policies and Terms of this Website, as set forth herein, constitute the entire agreement between the user and Traditionsjewishgifts.com, Inc. This Agreement supersedes any prior verbal, written or electronic media communication.